We all get caught up with our daily routines: work, shopping, taking care of the family, rinse and repeat! It’s nice to take some time for yourself to unwind and recharge, but where is this time? Trying to squeeze in a workout seems to be challenging to say the least. However, you don’t need hours of exercise to get a great burning calorie workout. 20 Minutes Elliptical Machine (Tabata Circuit) – Do 20 seconds going all out with high intensity and then slowing down significantly for 10 seconds and repeating until the time is up or the 500 calorie mark is reached! The one thing we can all agree on is there is a lot of controversy about CARDIO vs. WEIGHTS and what is best to do for fat loss. What is the way and why is there so much controversy over CARDIO? Is cardio one of the keys to success or is it a waste of time? There are trainers, gym goers, bodybuilding and fitness professionals that all seem to be full of one thing and that is mixed opinions. There seems to be two teams out there. TEAM CARDIO & TEAM WEIGHT TRAINING. If you follow fitness folks on SOCIAL MEDIA you will see a lot of information and opinions related to CARDIO and WEIGHT TRAINING. At gyms, you will see cardio junkies trying to lose weight going at it class after class. You will also see the weight trainers slamming the weights going heavy and harder never stepping on a piece of cardio equipment. So what is the method that helps with fat loss, weight loss and the gain of muscle? Can both be great for all? Or is one better than another? Is it possible they can be used for different purposes? There is a difference when it comes to fat loss vs. weight loss. This alone needs to be considered for an understanding of what method will work best when it comes to the results you are trying to achieve. The purpose of this article is to address the questions associated mainly with cardio and how it can play a roll in your results. Many people are uneducated about the who, what, when, where and how to do it. A framework is important in order to ensure your will be successful reaching your goals. What is better to do lift weights or do cardio? As a whole, many studies find that both cardio and weightlifting can both contribute to weight loss by helping to create a caloric deficit. However, weightlifting often results in a significantly greater change body compositions during weight loss compared to just doing cardio alone. 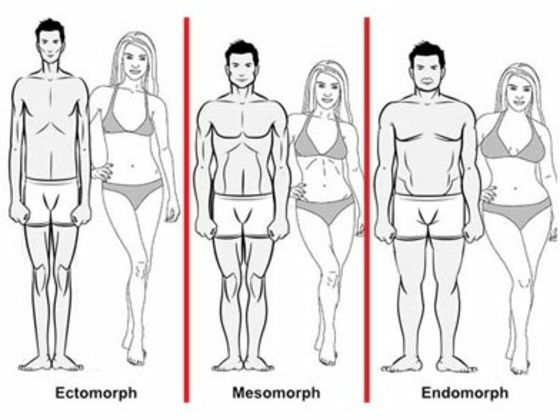 For an individual to change his body compositions there needs to be progressive weight lifting. Cardio can be a great tool for helping to create a caloric deficit and keep weight loss moving. This also allows an individual to have more calories throughout the day rather than having to sustain a very low calorie diet, as well. This prevents a negative impact on their BMR (Basal Metabolic Rate). Your BMR is s an estimate of how many calories you may burn if doing nothing and resting for 24 hours. It represents the minimum amount of energy needed to keep your body functioning, including breathing and keeping your heart beating. If you go under your BMR, your body will burn muscle and start to gain fat. Doing this will not have you burning body fat, but muscle. Your metabolism will slow down and not work for you, but against you. The importance of this has a lot to do with when to do more or less cardio or strength training. It is relative to how many calories you are eating each day. If you are over and above activity wise than the amount of calories you put in your body, you may find nothing is working. It’s a pillar to eat the right amount of calories and macros to ensure you are supporting what you are trying to achieve with exercise and to be able to sustain it endurance wise. HOW MUCH CARDIO EXERCISE SHOULD YOU BE DOING? In order to lose weight, an individual needs to reduce daily caloric intake and/or increase activity. This is weight loss 101. We all know that. But, weight loss is not enough alone. The reason being is because when you just lose weight and you don’t maintain or grow muscle you risk gaining body fat, holding more water retention and gaining fat and weight. The growth of muscle helps you reduce body fat, which helps you become leaner and tighter. When you have the formula for success your body reflects that. The gain of muscle also gives you the strength, conditioning and has a metabolic effect your body needs to drop fat. If you don’t condition your body and build your foundation for strength, you will find it takes time to see change. If you don’t work on conditioning levels and get yourself in shape nothing will change and if it does, not for long. You need energy and to be able to expend a certain amount of energy in order to make a dent in your body. If you aren’t in good shape than how will you burn enough calories or work hard enough to build the strength so you can grow muscle and lose fat? There is no cheating the system because it’s science based and your body reacts to the chemistry of food with your activity, not just because we want it to. An interesting fact that many may argue is that cardio is not a condition that must be in place to see weight loss. You can lose weight just by lowering your calories right? You don’t have to exercise at all. You just raise your activity and walk so many steps and you now are on a weight loss program. Many don’t understand why after all that effort the weight comes back on with a vengeance. It happens quickly? It will store fat to compensate from the loss and lacking of muscle. 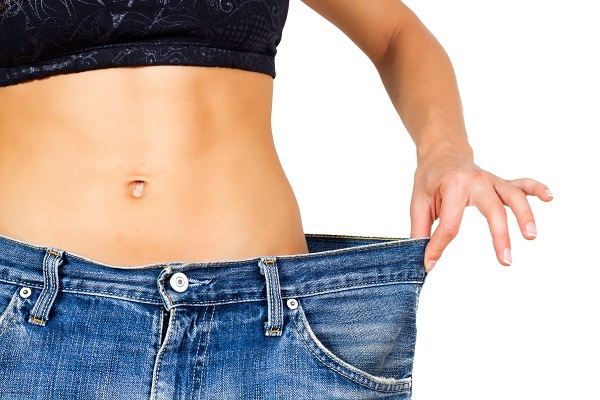 When you put fat on your body, you also will have more water retention! Cardio is helpful in order to keep from being on a very low calorie diet, which leads to metabolic syndrome, where you can no longer lose weight easily. Your body if it has been eating 1200 calories for years and you are below your RMR (RESTING METABOLIC RATE) now requires 500 less to lose weight. That is not healthy nor can you grow muscle on a low calorie diet. You cannot lose fat, gain muscle and lose weight all at once. You must have a decent amount of calories to shape your body and grow muscle so you become a FAT BURNING MACHINE. If you have a good amount of calories on your diet than it can help to do more cardio. This can help create an energy deficit so you burn more calories. This may allow the individual to eat a bit more food and giving them a nice healthy meal plan that will lead to success long after the diet is over! Your metabolism won’t be shot and your BMR will remain in a realistic place making your body work better for you and not against you. CAN CARDIO AFFECT MY MUSCLE GAINS? The answer is YES! 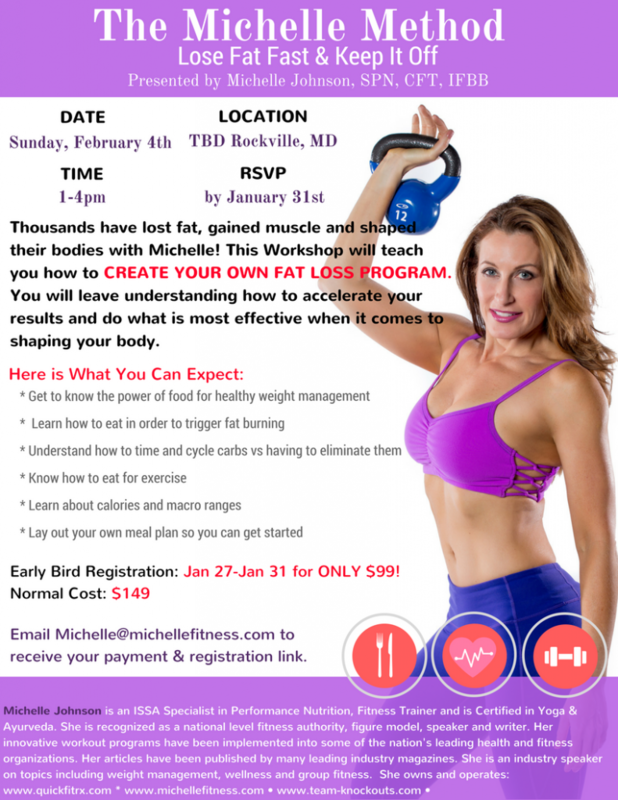 If you are in a fat loss phase it is likely you will impair you ability to grow muscle or even lose some. This is why bodybuilders do a “bulking” phase to grow a lot of muscle. After this they tend to cut calories and increase cardio to lean out. A meta-analysis examining the effects of adding cardio to a resistance training plan found that the more cardio an individual performs and the longer the duration of the cardio sessions the more it interferes with muscle size and strength gains. It’s important to phase your program and separate the two or treat the gains and fat loss as two separate plans. The muscle-gaining plan would have more calories, less cardio and more strength training with heavier resistance. The fat loss phase would possibly have fewer calories, more cardio and lighter weights. I HAVE BEEN TOLD NOT TO DO ANY CARDIO BY SOME TRAINERS, SHOULD I SKIP IT? While toning and trying to lose weight, cardio is a great tool. It can also stimulate HGH (human growth hormone levels) in the body to ensure muscle growth. It should support weight training when handled correctly. However, it is good to minimize the amount of it during a muscle growth stage and keep it low. Adding more cardio time over time is the best approach. Overdoing the cardio, early on in a program, will cost an individual the ability to gain muscle if that is the goal. If the individual needs fat and weight loss, in the beginning this is a supportive measure to bring down size. Muscle gaining should be the focus again at some point shortly into the program to ensure the balance of fat loss, weight loss, shaping, toning and gains. YOU ARE NOT GOING TO BELIEVE WHAT I AM GOING TO TELL YOU. There are no statistics or evidence that proves that one type of cardio is superior to another for fat loss. So just get your cardio in however you enjoy it or feel up to doing it! 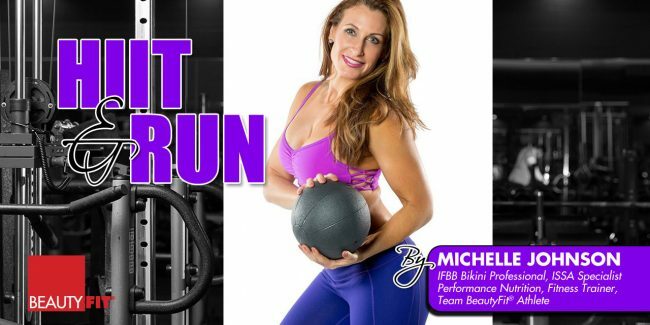 Try to stay in your fat burning zone for best results!All forms of cardio reduce the performance of a weight lifting sessions when it is done BEFORE it. This is a proven fact. It is always best to do your cardio AFTER you resistance training, this is in order to, ensure you can give you weight training it’s best. There is also another benefit to doing cardio post resistance training. This is to break down the build up of lactic acid. It can aid in better recovery. HOW INTENSIVE SHOULD MY CARDIO BE? The benefit of doing cardio at lower intensity is because a greater percentage of fatty acids are oxidized for energy during lower intensity forms of exercise, whereas a greater percentage of carbohydrates are oxidized during higher intensity forms of exercise. Many of us choose cardio based on our preference. Our trainers make decisions based on our lifestyle and goals. The truth is that even the “fat burning” heart rate zone doesn’t result in a more efficient fat loss. Even that is a myth. However, keeping your heart rate there may give you more endurance for steady state cardio sessions that you utilize to burn more calories over time without having to over do it. Some people are not candidates for plyometric and HIIT because of their joints, age or ability. IS THERE A BENEFIT TO DOING HIIT – High-Intensity Training as a form of Cardio Exercise? It is TRUE that high-intensity cardio interferes less with muscle size and strength gains than lower-intensity forms of cardio. This is because it creates muscle adaptations that are more related to weightlifting than cardio. It is a great way to maximize muscle retention during a fat loss phase. One item that is often overlooked is that high-intensity cardio exercise is more demanding and difficult to recover from. In addition, it may also increase the risk of injury, especially in those who have a history of joint issues. Again, not everyone is a fit for HIIT! The only way you can benefit and get maximum muscle retention during a fat loss phase using this is by doing it with the right amount of intensity. If you can’t than it will have no benefit to you and you could end up in bad shape as a result of OVERDOING IT. This is when lower-intensity forms of cardio exercise are suggested. The bottom line here is that the intensity of cardio depends on what will make an individual want to stay consistent with their exercise plan. What is going to keep them motivated over time? In some cases, especially those over 35, it should not over use their joints. Some have a long way to go when it comes to fat loss and they will need strong joints and muscles. This is the only way they will be able to expend the energy needed to burn calories and create the deficit needed for fat loss and/or weight loss. We now here about exercising while fasting 4 hours or more before exercise. Some perform cardio in the morning before they eat anything. They believe that in a fasted state they will burn more body fat. Looking at the scientific literature, fasted- and fed-state cardio exercise has shown to burn the same number of calories per session. It’s sad to think how many hungry people are out there doing cardio this way because their “trainer” or someone told them this is the way. If you are hungry in the morning, eat your breakfast, but don’t make it full of sugar. It is true that if you eat sugar or high carbs prior to doing cardio that you will burn sugar and not fat! You want to be a fat burning machine, now don’t you? Get something like protein and veggies or a protein shake and a healthy fat. QuickFitRx can help you build your Cardio & Weight Training for successful fat loss and the gain of shapely lean muscle. 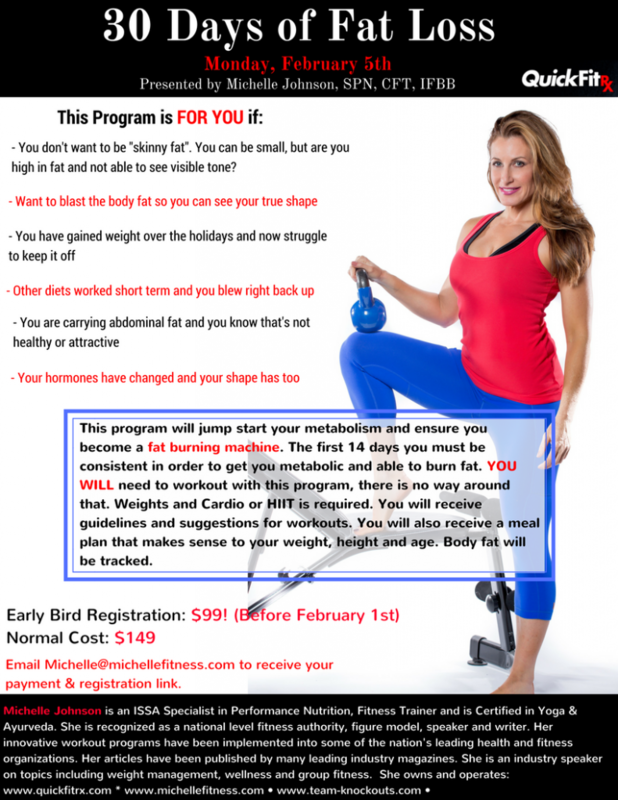 You will be provided with a meal program that makes sense to the exercise you are doing. Get your program by signing up today! Go to: QuickFitRx to learn more. ASIDE FROM EXERCISE, you also need to know about Totals for Daily Caloric Expenditures. This will help you understand how many calories to burn while being active. If you are way below some of the numbers you need to succeed, you are wasting muscle. Your body starts to cannibalize itself. You are actually wasting your time and a tone of energy doing all that exercise without the right nutrition in place to support it. Do you know how many calories make sense to eat based on your effort while training with weights and/or doing cardio? There is a lack of understanding about this amongst many. This is exactly why you see so many people doing 2-4 classes a day or overtraining at gyms. It’s when nothing changes or their situation quickly gets worse that they realize they have no clue about what they are doing and they take desperate measures to not eat or to do more exercise. This is where an educated professional can streamline everything! Things like NEAT make it almost impossible to count calories or know how many you will burn each and every day. So most calorie and macro based programs are estimates based on your height, weight and age that determine your BMR. Do you know what your Resting Metabolic Rate is? – The number of calories burned at rest to keep you alive. Click here to find out your RMR. Do you understand Exercise Activity Thermogenesis and how many calories you burned during your exercise? By increasing the amount of formal cardio your do during a fat loss phase your are increasing your exercise activity thermogenesis. You are simply increasing heat in your body and in turn you burn more calories. If you want ahealthy metabolism, it is important not to maintain a calorie deficit too long or exercise over the amount of calories you consume each day. Another negative thing is to keep your body in ketosis for a length of time. This is when you go on a low carb/low sugar program and your body burns it’s own fat. What the body needs is cycling for a variety of foods, macros, calories and nutrients. When you remain in a state of ketosis your hormones start to over work and the second you eat carbs again your store more fat than usual. Ketosis has its benefits, but it’s not suggested for over 2 weeks at a time and is not to be over used. The best approaches are those you will stick with longer term that do benefit you and your health. Generic bodybuilder programs that put your into ketosis right away are common and will create an adverse effect on your body over time. An individual will quickly hit a plateau and find their body stops responding. Eventually, they gain weight because the body goes into starvation mode. You also start to feel cognitively impaired because your brain needs and craves more healthy natural sugars. This is why you will see many in the sport of bodybuilding or those on diets gaining fat and weight right back and sometimes double. * Use Cardio as a tool to create an energy deficit along with a reduced caloric intake. To preserve muscle mass, the focus of the time spent in the gym during a fat loss phase should be resistance training and if you do cardio go for HIIT or something with Cardio & Strength Intervals like Tabata. * Moderate your cardio starting with less time, gradually increase the time, but don’t over do it when you wan to shape or grow some muscle. Give yourself breaks from so much cardio and spend time growing. Add cardio in during the appropriate phases. * Know your BMR so the calories are in place to support both of these efforts. The muscle gain formulas are different than the fat loss formula. Treat these as two different situations. Check here to learn more about your BMR. * Do Cardio you enjoy knowing that there is no “best” cardio for fat loss. Spice it up by making it a variety. This way you don’t get bored and give up on your goals. * Always lift your weights first before cardio. If you want to do them together in a class, do it! And save yourself time. * If you like eating breakfast before you do cardio, eat! There is nothing that proves that not eating is beneficial. This personal preference rather than a real rule. Ask your trainer where the proof is if they insist and you like eating! * Keep your everyday activities in place to help reduce declines in energy expenditure through NEAT. And don’t over cut your calories ever. Know your BMR and know what amount of calories it takes to grow muscle and what amount it takes to lose weight. Be sure you don’t over train and make yourself a train wreck trying to get results only to wear your body and joints out. Find the balance. Losing weight not only deflates cup size, it can flatten your backside too. The goods news is that even after you’ve sent unwanted pounds packing, you can combat dreaded fanny droop by adding the right strength moves into your routine. Here, nine moves that will plump up your rump and give it a lift. THESE MOVES YOU CAN DO ANYPLACE, ANYTIME! If you want to get fit and don’t have access to a gym, no worries! These 10 Metabolic moves will work your muscle groups and give you all the results you are after. You will scorch lots of calories without any equipment at all. When you workout at an intensity that you can’t sustain for a long period of time, your muscles begin to burn and your breath becomes heavy. Muscles fill up with lactic acid (that’s what gives you the burning feeling). When you start to feel out of breath, your oxygen stores become depleted. HIIT (high-intensity training) forces the body to work in order to build oxygen stores back up. This goes on for 16-24 hours after you have worked out. The result is more calories burned. When you are resting your body is working to clear the lactic acid so it can gain oxygen back. The EPOC (Excess Post Oxygen Consumption allows you to train for shorter periods of time than Steady-State endurance exercises. The more intensely you perform your sessions during the aerobic phase, the great the EPOC. You will preserve muscle and lose fat as a result. The focus in on increasing your V02 max which uses oxygen for energy. Adding two workouts like this per week can give you a metabolic boost. Working different aerobic systems with lower and higher impact moves will help build your fast and white twitch muscle fibers so you can get into optimum condition. You must raise your conditioning levels in order to rid the body of unwanted body fat. This enables you to push harder for shorter periods of time and ensure you get the results you are striving for. In turn, you become a fat burning muscle building machine with higher HGH (Human Growth Hormone) levels in order to raise your metabolism so that it works for you and not against you. This also makes a great plateau buster for those who struggle shedding those final ten pounds. Metabolic conditioning workouts ensure that you keep your energy systems active and can maintain your results longer term. Simply follow these moves – suitable for all fitness levels – to raise your heart rate and lose inches all over. You will set a timer for this routine and perform each exercise for 30 seconds – 1 min. Overtime; you can build your conditioning, as you build your time. Vary the tempo each round. You will not rest until all exercises are complete. Let your heart rate come down and rest for 2 mins. You then have the option to repeat all exercises again for 2-3 more rounds. Be sure you wear a heart rate monitor that tracks both your heart rate and calories you are burning. When you do each round go all out!